If you've a birthday to host for a little ballerina or princess then this tulle table skirt is a must have for your up coming party! Learn to make this No-Sew Tulle Table Skirt to take your party to the next level. It's such a show-stopper, and the best part is you don't need to have any sewing ability whatsoever! A tulle table skirt creates a soft and dreamy feel to your dessert table. 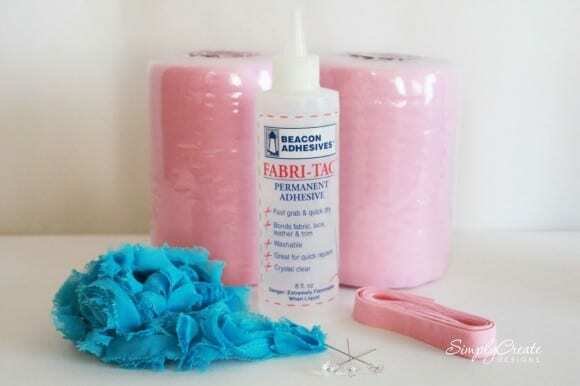 You can easily create your own, that is simple, inexpensive, and requires no sewing! 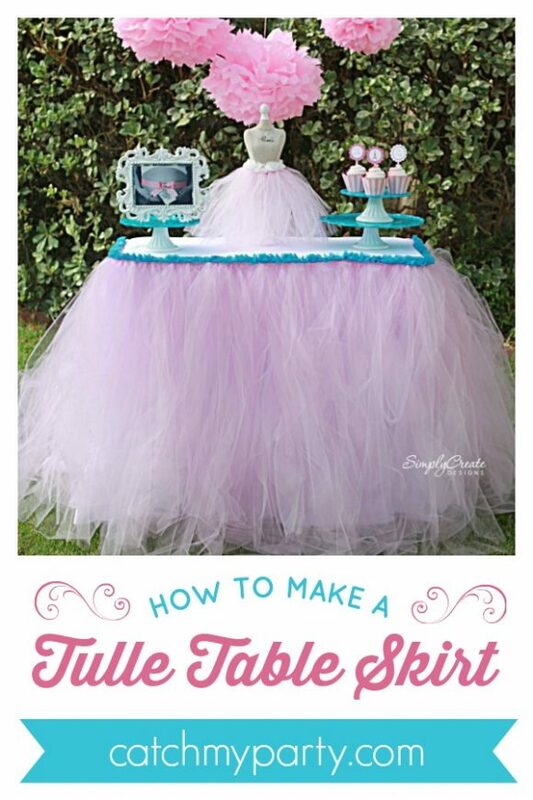 It’s basically a tutu for your table. Some of these links may be affiliate links. I may make a small commision if you click and buy, at no expense to you. 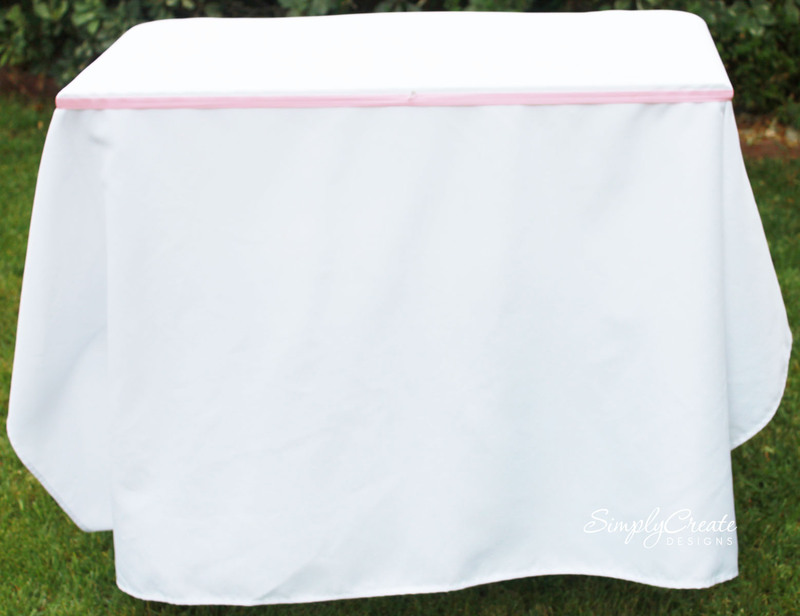 First, cover your table with a tablecloth and wrap the elastic along the top edge of the table. The tie it in the back. 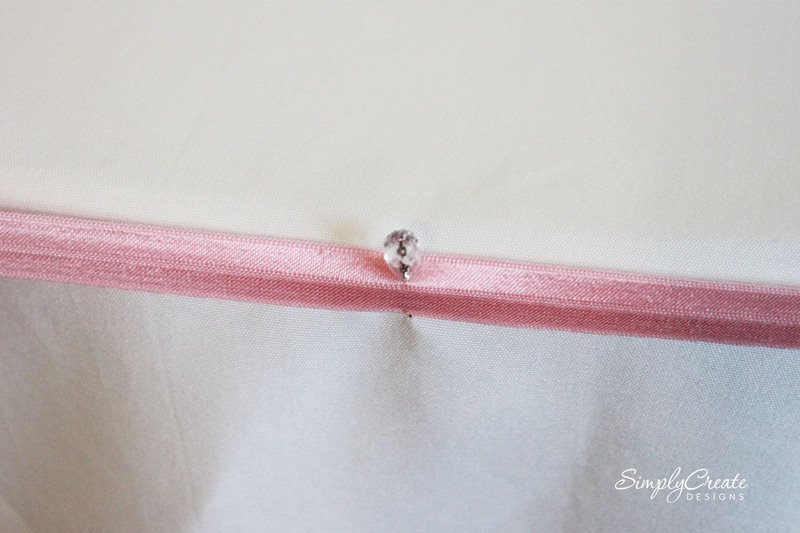 Pin the elastic to the tablecloth in various spots to keep it secure while you add your tulle. To create your skirt you will need to cut your rolls of tulle. Each strip should be double the height of your table. My table is 35 inches high so I cut each strip 70 inches long. 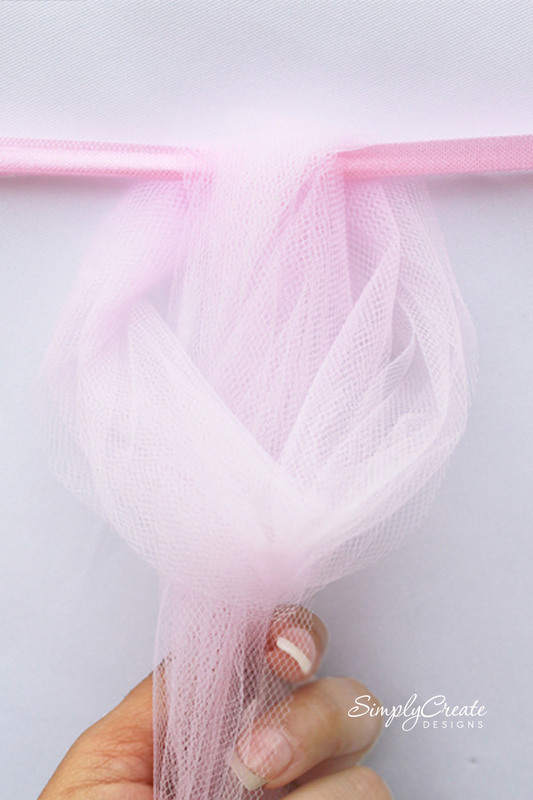 Grab the tails of the tulle and pass them through the loop. 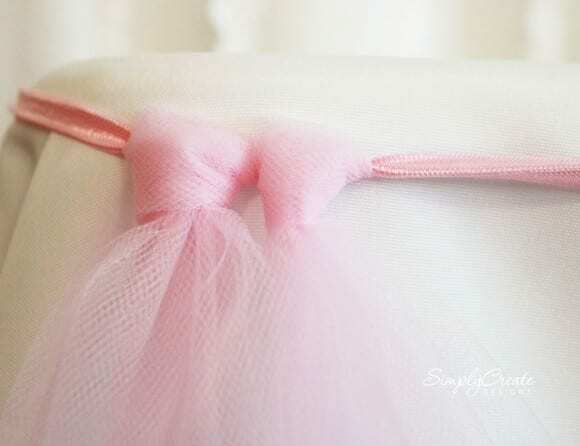 Tighten the tulle, it should look like a tie, with the knot in front. 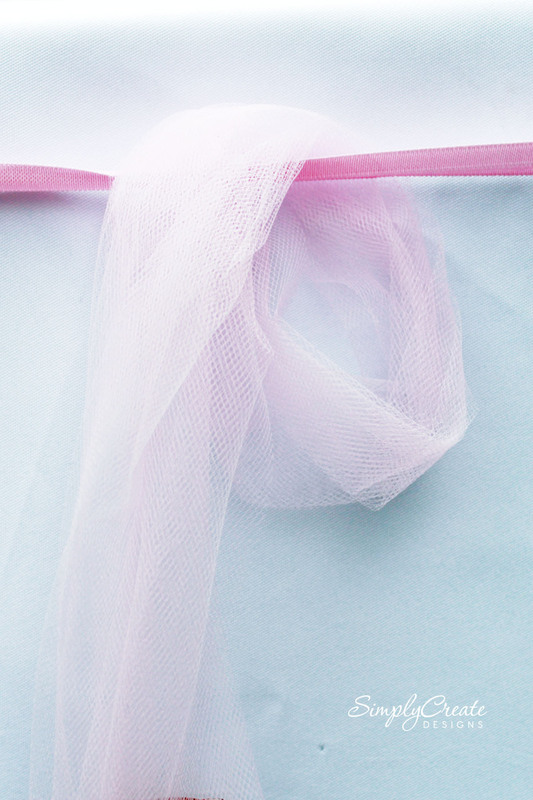 The smaller your knot, the more tulle you will need. Continue attaching the tulle. If your table will be against the wall, you only need to cover 3 sides. Attach the trim by applying small beads of adhesive along the top edges of the skirt. Hold the trim in place until it dries, work in small sections until all sides are covered. Step back and look at your skirt. There may be some strips longer than others, you can either trim them or keep them uneven which adds to the whimsical look. What a simple way to add a dramatic effect to your next event. This DIY was created by Denise from Simply Create Designs. To learn more about Denise, and see all of her custom party printables and handmade party supplies, check out her Etsy shop, Simply Create Designs, and her Facebook page. 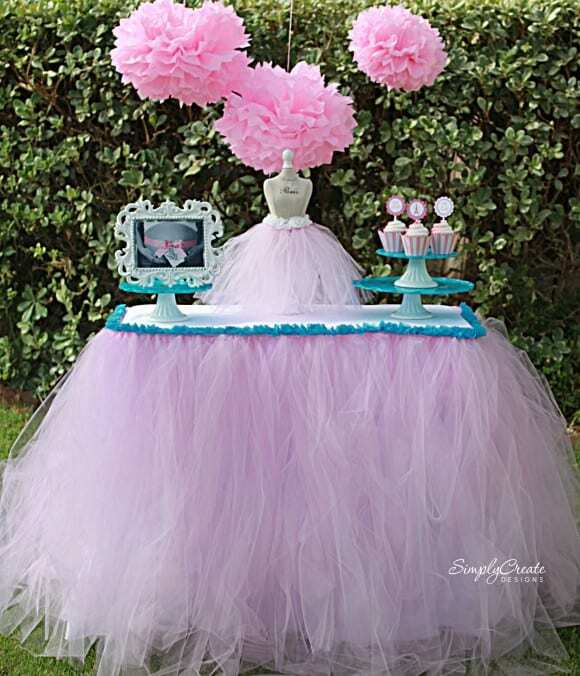 For more inspiration, check out all the amazing princess and ballerina parties on our site, and check out these princess and ballerina party supplies from vendors with listings on Catch My Party! Need party craft ideas for girls? 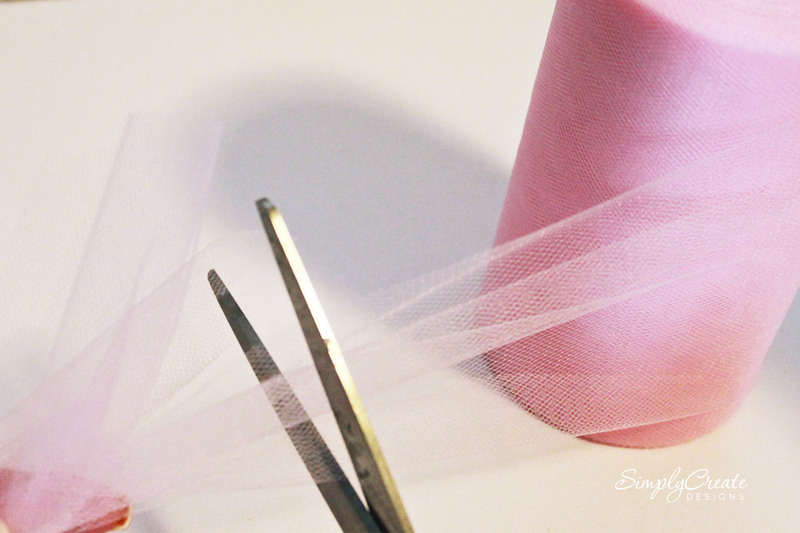 Need princess and ballerina free party printable decorations? Need more princess and ballerina birthday party ideas? Take a Look at the 12 Most Amazing Beauty and the Beast Party Ideas! Great Idea to add the ribbon on top! This is beautiful and the instructions seem easy to follow. Does it have to be 5/8 fold over elastic? What will happen if regular elastic is used? I love this look. 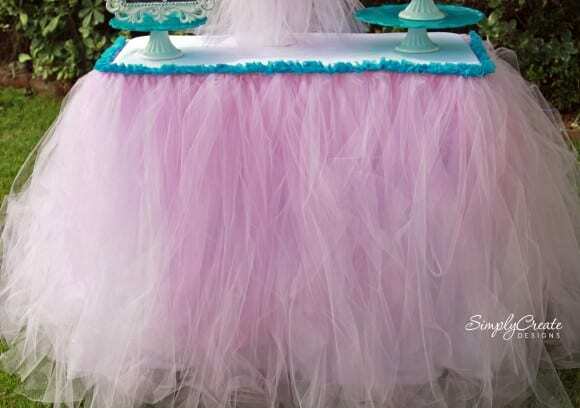 I am giving a baby shower and I want to know if it is possible to make the tutu table skirt and attach it at the venue? How much tulle should I use for a 6 ft. table and a 60 in. round table? 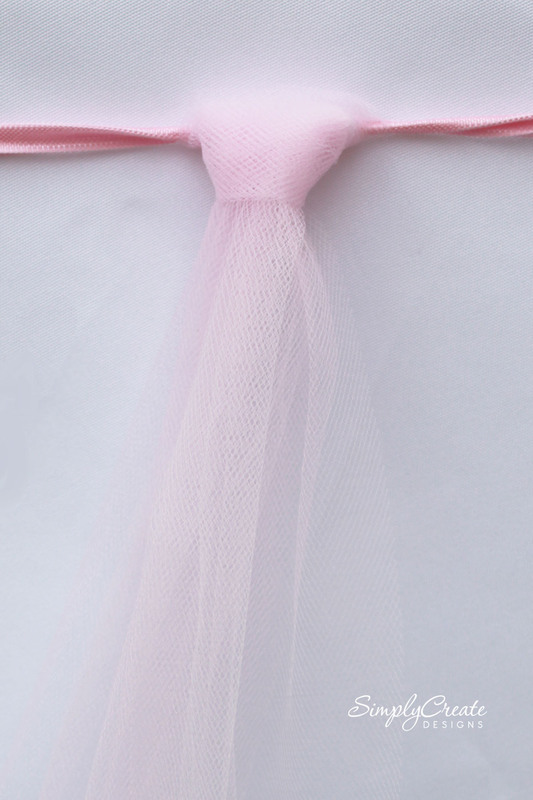 How much tulle did you use? 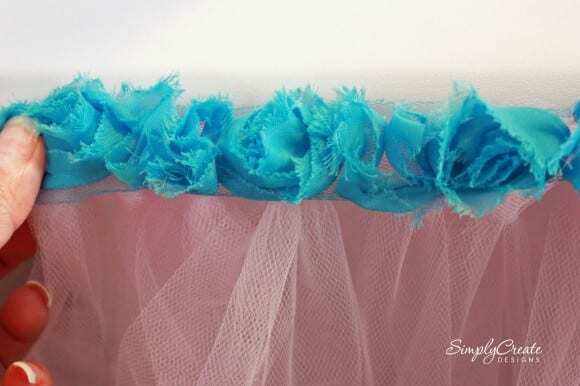 I am going to make a table skirt for a 48 inch diameter table, how much tulle do I need????? Also can I make the skirt and attach it later with lights behind it?? I made two of the skirts for my daughter's birthday party. They were beautiful and so easy. You can see pics at www.designcreatecelebrate.come. Thank you so much for sharing!